Jordan Jackson doesn't want to succeed, he “needs to succeed”. The Castle View Junior doesn't want to win, he “needs to win”. 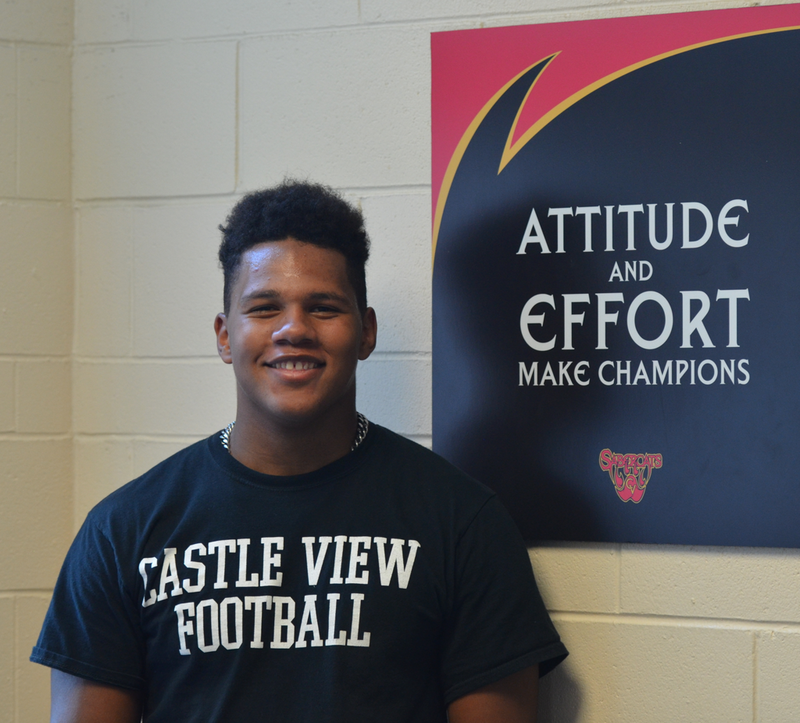 The returning 2-way varsity starter emphasized that CV doesn’t want to succeed, but rather “CV Football needs to succeed in 2018”. 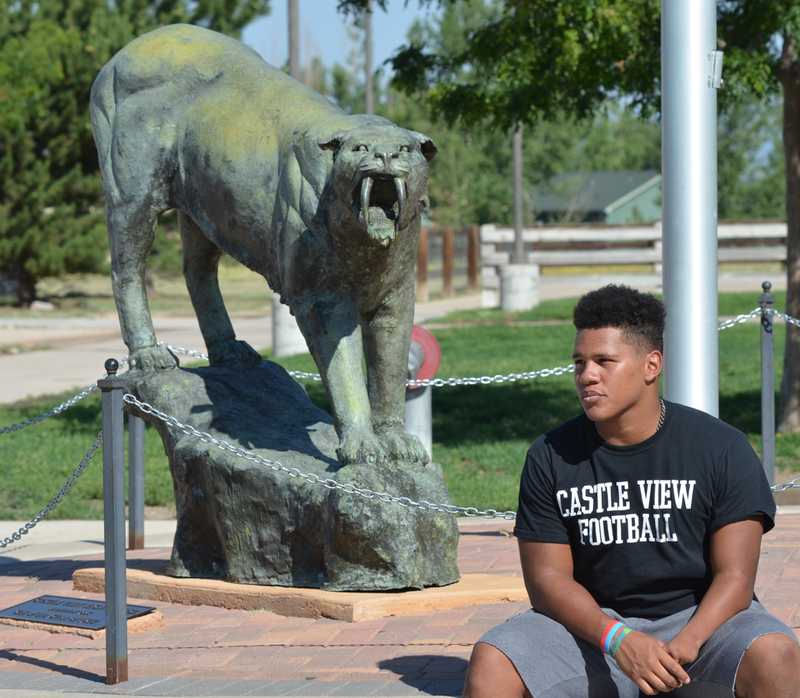 We spent some time with Jackson this last week to report on another incredible developing story-line within the Castle View Football program right now. On April 29th, at around 1:00 PM, Jordan Jackson received a notification on this phone while watching his little bother’s flag football game. The Bleacher Report had alerted that Shaquem Griffin had been drafted by the Seattle Seahawks. Jackson quietly slipped away, finding a place where he could go to be by himself for a few moments. Overcome with emotion, the 6'0, 220 Linebacker/Running Back found himself crying as the news sunk in. "It felt really good to read that article”, stated Jackson. “In that moment, I really allowed myself to believe that dreams are possible". 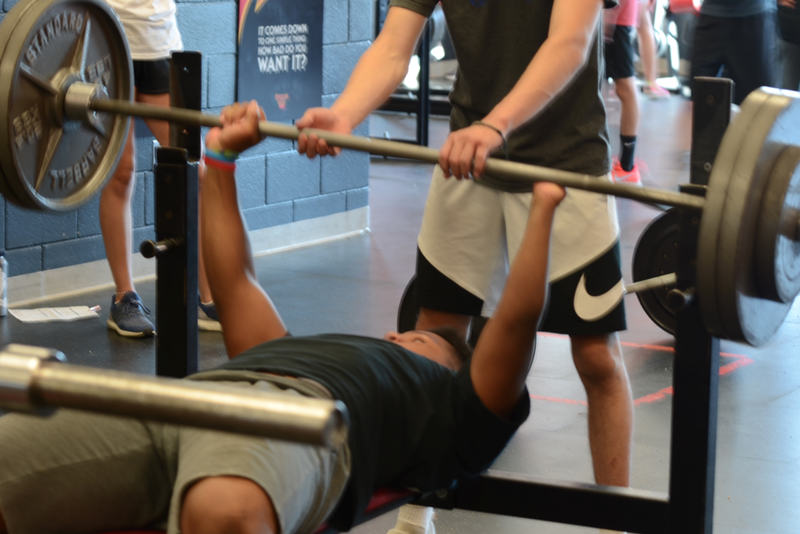 Just a year earlier, Jackson had discovered the UCF Linebacker when performing a YouTube search on, "How to Clean [weight-lifting] with One Hand". Prior to this, Jackson had not followed the AAC Defensive player of the year. After watching some of the videos, Jackson was inspired. "Man, I found someone just like me. It gave me hope. Once I learned about him, I started following him and I felt like I was kind of part of his journey". Jordan Jackson was born without a left hand. Despite this, Jackson has always played Football and at a high level. Earning a starting spot on the varsity roster in 2016, Jackson became a standout player and has been recognized as one of the top Defensive players for the class of 2020 in the state by the Colorado Prep Report. When asked if he has any limitations on the football field, Jordan responded with a smile, "there is no rule that you have to carry the football with your left hand… so no". Jackson is highly respected by his teammates and coaches. "I admire Jordan because he never makes excuses”, acknowledged Senior Cade Cushman. “Nothing is going to stop Jordan, no matter what. He inspires me to be a better player”. “He is a physical leader, has a nose for the ball and makes plays”, stated fellow Linebacker and Running Back, Cole Oster. "Jordan’s strength is impressive. If you underestimate him, he will throttle you either as a defender or as a ball-carrier." When asked if Jordan is seen any different, the answers were definitively no. “Jordan does not get any special treatment. He wouldn’t want that and he doesn’t need it. He works as hard or harder than most guys on this team and we have big expectations for him both defensively and on the offensive side of the ball”, stated Head Coach, Todd Casebier. Jackson talked about learning to catch with his dad, Ellery. The proud father stated, “There are no words to describe how proud I am of Jordan. I was initially nervous about him playing football, but he has proven a lot of people wrong. Jordan works hard to be the best. His work ethic on the field and in the classroom make our family quite proud." According to assistant coach Butch Bradley, “Jordan is aggressive. If you get in his way, he'll make you pay. He is consistently one of the hardest working kids in the program. Coaches wish that they had more players with his heart”. The Junior has not only excelled on the football field, but has performed in the classroom as well. With a 3.6 GPA, Jackson has landed on the honor roll the past two years and will be a strong contender for Academic All-State in 2018. Jackson has been quick to point out all of the people in his life that have been encouraging him, from his brother who will be attending Adams State this fall to play Football, to his parents, grandparents, teammates and coaches. “I’m surrounded by people who believe in me. I feel like I owe it to all of them and myself to be my best. I also want to continue to prove to those who don’t believe that I can play at the top levels”. Jackson aspires to play football at the collegiate level, and will no doubt contribute mightily to a top program. Teammate Cole Oster summed it up nicely; “Jordan is determined to be great. Some people might look past Jordan because he has one had, but this is a mistake. In my eyes, he has the heart of someone who will not be denied. We all look up to Jordan because he is a great football player, an awesome teammate, a good friend and an example to all of us. He is a warrior and I’m proud to play next to him.